Our mission is to provide Pain manager, assist with fertility issues, and help patients regain their healing ability with Acupuncture, Acupressure Point, Tui-Na, herbs so our patients bodies and emotional well being heal for a pain-free and healthy , younger looking/ feeling without pharmaceutical drugs or surgeries. Stress is said to be one of the leading causes of health problems in the world today. Meeting deadlines at work, taking care of the house and the kids, or just not feeling good about the way you look can take its toll on your body and your mind. Are you suffering from a painful injury, or condition and tried everything to make that pain go away? Are doctors unable to pinpoint the source of your problem? Many times the source of your discomfor can be addressed and corrected through acupuncture treatment thus minimizing or avoiding the use of pain medications. At the AcuLife Acupuncture & Herbal Treatment Medical Center, we use the ancient arts of Acupuncture, Acupressure Point, Tui-Na to effectively relieve pain, tension, women's health and fertility issues. Our goal is to aid fertility, help relieve pain and stress, look younger and assist patients' journey to find balance and harmony for their physical, emotional, mental and spiritual well-being. Come visit us and take advantage of our package plans to keep you feeling refreshed regularly. We can help you decide which treatment is right for you. We can take one step at a time or perform multiple-step procedures all at once. Call us for an appointment. 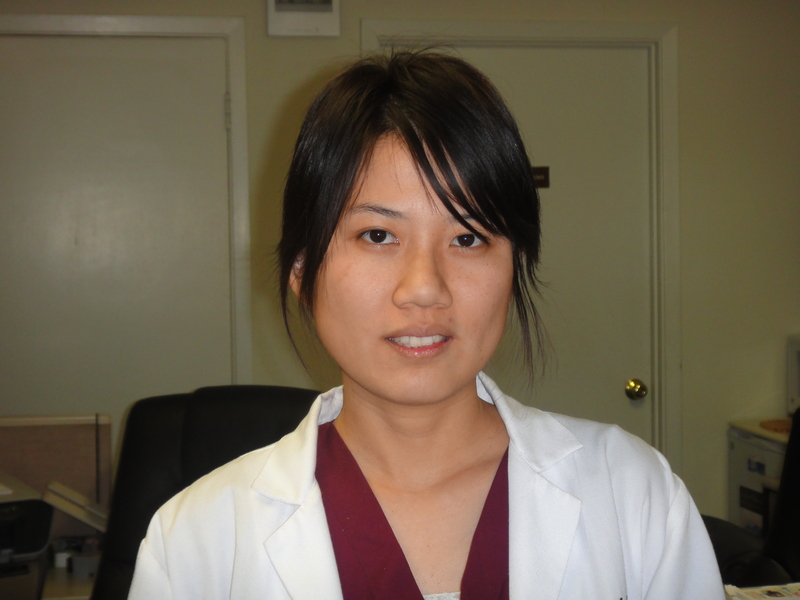 Christina Sue has a Master's degree in Oriental Medicine from the American College of Acupuncture & Oriental Medicine. 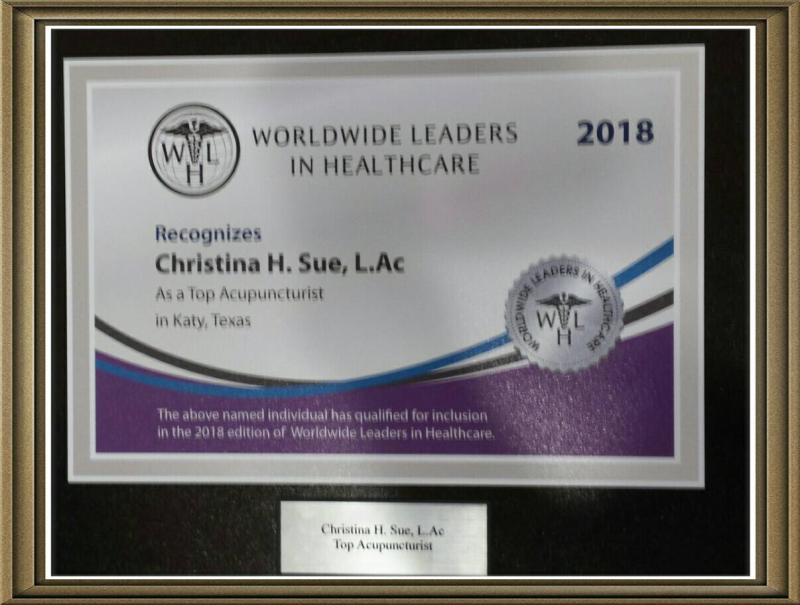 She is a licened by Texas Medical Board in Acupuncture and is recognized as a Master in Oriental Medicine by the National Certification Commission for Acupuncture and Oriental Medicine. Christina is a highly skilled and experienced practitioner offering holishtic treatments such as Acupuncture. 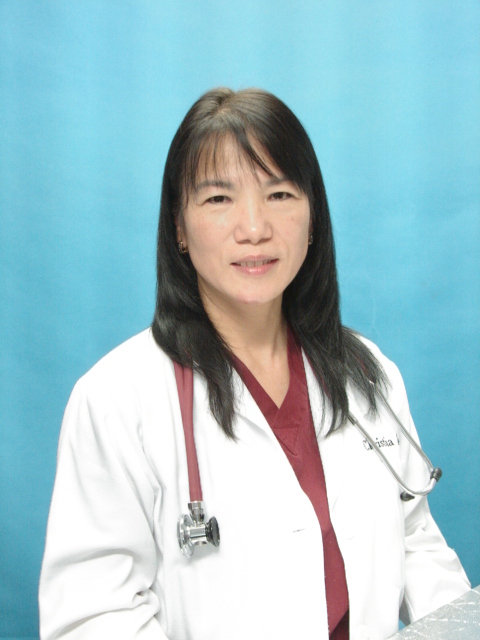 She also has many years experience in Acupressure Point Treatments and as an Esthetician for skin care/ treatments. Master's Degree: American College of Acupuncture & Oriental Medicine. Master's Certification: National Certification Commission for Acupuncture and Oriental Medicine. NCCAOM Certified: National Certification Commission for Acupuncture and Oriental Medicine. Clean Needle Technique Certification by Council of Colleges of Acupuncture and Oriental Medicine. Jenny received her Associate Degree in Nursing from South Texas College. She is currently a Register Nurse, licensed by Texas State Board of Nursing. Associate Degree Nursing: South Texas College. Current Register Nurse License, Texas State Board of Nursing.